Mountain Hardwear's Dragon's Back insulated men's winter jacket is perfect for anything this winter has in store for you. The Dragon's Back jacket has Thermal Q synthetic insulation that helps retain your body heat and keep warm even when your jacket is wet. 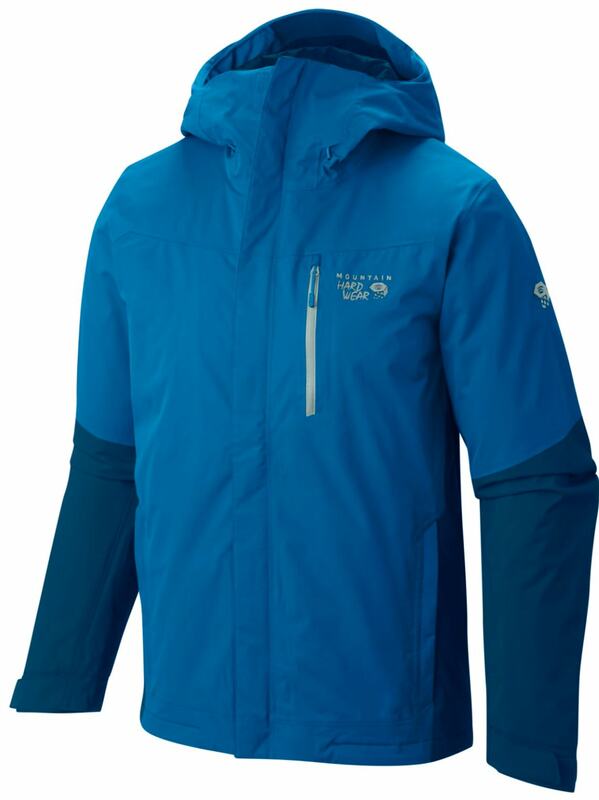 Along with Thermal Q, Mountain Hardwear constructed this ski jacket with Dry. Q technology to give an ultimate waterproofing while allowing air and moisture to escape through the fabric creating a great breathable jacket that keeps you warm and dry. A helmet compatible fixed hood system and internal hem adjustment will be sure to keep you warm and comfortable in any condition. If you're hitting those tree runs, don't worry about getting lost because the Built-in RECCO® reflector will help in-bounds rescue, though hopefully, you'll never have to use it. A water-tight zipper chest pocket will keep your belongings dry even when you are crushing snow clouds all day. 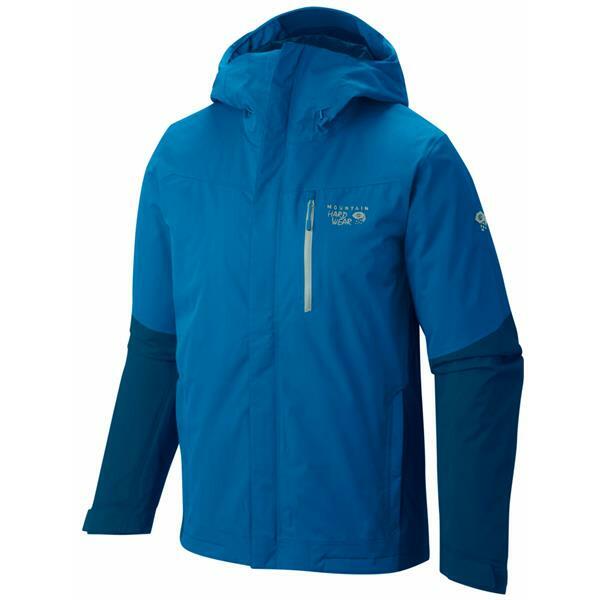 The Mountain Hardwear Dragon's Back men's insulated winter ski jacket is filled with pockets and designed for everything from skiing to everyday wear. Wherever winter brings you, be sure that you'll be dry and warm through it all in the Mountain Hardwear Dragon's Back insulated ski jacket. First time I wore it out, weather was great for testing...consistent -10 to +10 deg F weather, wind, and big snowstorm, skiing. Positives - Sleeves are long and cover the wrist on my mittens keeping out the snow, hood fits well over large size helmet, and jacket zips up nicely and comfortably protects the chin. Powder skirt works well and isnt too tight. Jacket is fairly windproof and water resistant out of the box, dont know how long that will last. Sleeves allow for good movement while skiing. 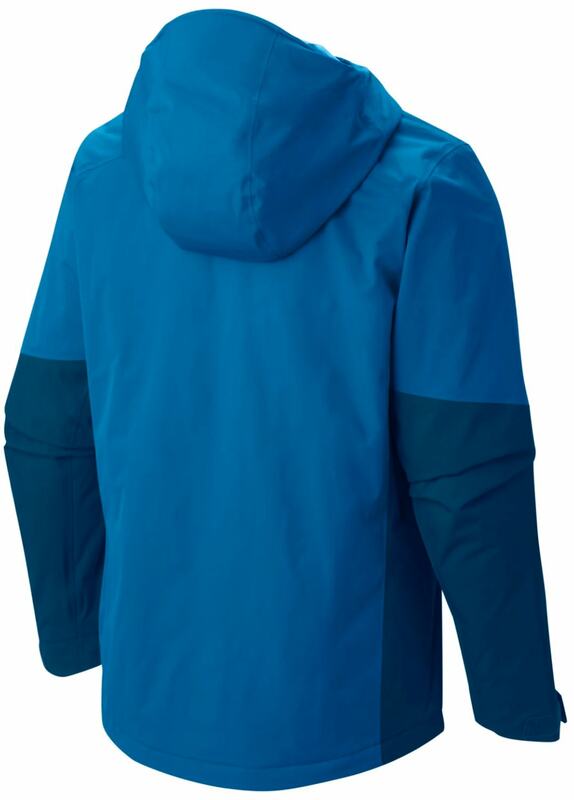 "Insulation" liner layer is smooth and makes putting the jacket on easy, even over bulky clothing. Negatives - Not really insulated, more like a heavy shell type jacket. With two base layers though and skiing hard...was warm enough, not cozy but warm enough (note the weather was COLD). The main zipper is really fine toothed, which makes zipping up and down mostly just annoying. Little snug around belly (probably just me, 5'11'' and 200#), with two layers of thermals though had no issues with fit. If I had to put a heavy sweater on too would have been tight. Great jacket - wouldn't mind a few additions like spandex wrist cuffs, but overall nice jacket. Large fits more like an XL, could be a brand thing but I'm typically a big Medium/small Large, ordered a Large and was swimming. Is this jacket considered waist length?